Pakistan Peoples Party Chairman Bilawal Bhutto Zardari said on Friday that Pakistan Muslim League-Nawaz and Pakistan Tehreek-e-Insaf went into an electoral alliance with proscribed organisations against his party. While addressing a press conference, the PPP chairman said that the nexus between banned organisation and the political parties is evident in Malir District of Karachi. "We have to set redline against extremism in the politics," he said. "We have to think what message we are giving to the world." He added that the warm welcome he recieved from Karachi to Peshawar showed that there is still space of politics of issues in our democracy. "There is hope for positive politics in the country," he added. The PPP leader said that his party will pursue politics of federation irrespective of the election result. 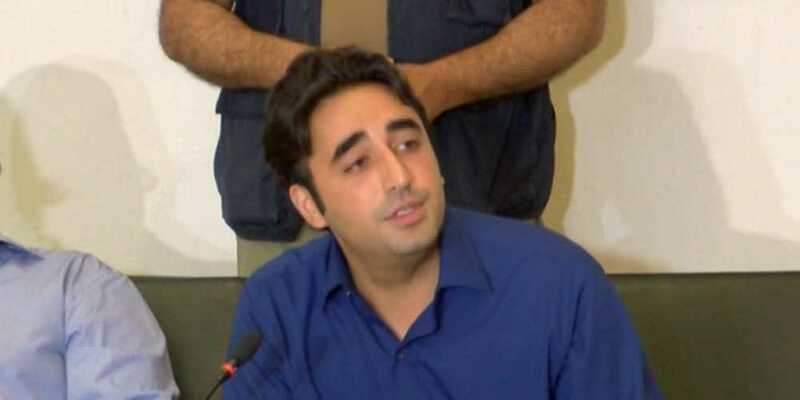 Bilawal said that the PML-N believes in selection rather than election, adding that the forthcoming polls should be transparent. "The election should not be made controversial by facilitating a few political parties and allies." Bilawal is scheduled to arrive in Karachi today to lead rallies in different areas of the metropolis.